The Stone Roses are certainly something of a rock’n’roll cliché. The Manchester band’s first eponymously named album, released on 2nd May 1989, took some time to gain traction with critics and music fans alike, and with an opening track titled “I Wanna Be Adored” it rather smacked of some form of rock hedonism. But ever so slowly it caught the public’s imagination and it wasn’t long before the Stone Roses became the de facto leaders of the ‘Madchester’ movement. And with a million worldwide album sales behind them, who could argue? But then, and you could not make this up if you tried, the band, at the height of popularity and after playing just a few headline shows practically disappeared for five years, four and half of those without even playing a concert. Legions of Roses fans were left in a virtual musical wilderness, but finally news leaked that the band was back in the studios in Owestry, Shropshire and Monmouth, Wales. The new album took two and a half years to create with rumors abounding all the time about band splits, bust ups and new musical directions. 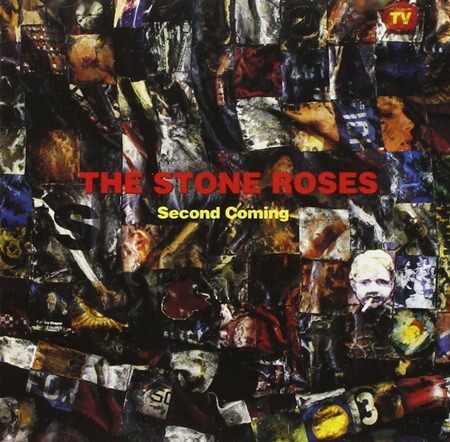 In December 1994 Geffen records released the Stone Roses second album, prophetically titled “Second Coming”. Putting it mildly it does not grab you straight away and all the comparisons previously made between the Stone Roses and the Beatles, Led Zeppelin etc. all rather went out the window. But there is still an awful lot to be said for having a strong fan base. The album leapt up the British charts and “Second Coming” peaked at number 4 in Britain, selling another million albums. Sadly for the Roses, the rest of the world did not appear to have such long memories. The album has some very fine tunes as long as you give them more than one spin on your deck. The opener “Breaking into Heaven” is a classic, starting with some rampant lead guitar chords from John Squire before changing track and ever so slowly leaving you with just rippling water rolling over stones, other furry beasts lurking in the jungle. A drum beat comes rolling over the hill and the song carries you away while John Squire’s guitar flows in and out like a rain squall. It’s nearly five minutes before “Breaking into Heaven” resembles anything like a rock’n’roll song, but when it does it is laden down with charm. The other tracks on the album all have their own magical moments, with two of the songs having a delightful campfire sing-a-long feeling whilst others are sprinkled with some deep rooted psychedelic passions – funky, blues, rock, pop numbers all superbly played. 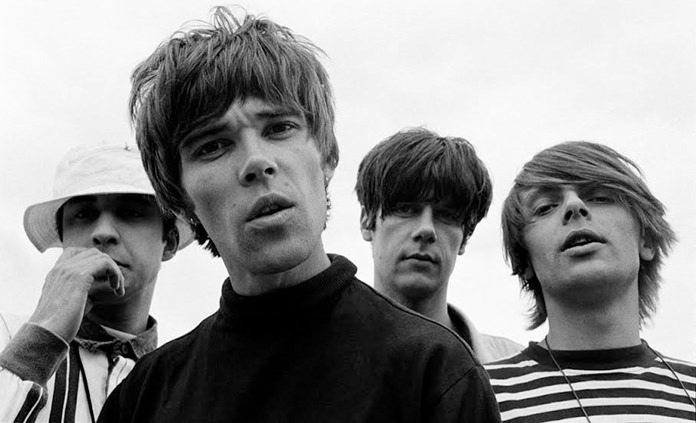 John Squire’s guitar work is never short of its unique quality, which, along with Ian Brown’s vocals, gives the Roses their distinctive sound, although if you have a fine lead vocalist I never think it is a good idea to hand the mike-stand to another member of the band. Having so far said only positive things about the “Second Coming”, finishing the album with the appalling noise that is “The Foz” is just about unforgivable, but despite this anomaly I’ll still dispense four stars. Of course, as in all good rock’n’roll stories, nothing lasts. The Stone Roses did set out on a world tour to support the album, but first drummer Reni left the band and then, disastrously, John Squire picked up his guitar and walked out too. Replacements were drafted in but it was far too little too late. The last Stone Roses concert of this ill-fated period was at Reading Festival in 1996 where the band members were under rehearsed, out of tune and out of their gourds. Note: Written By Mott The Dog and Hells Bells. Mott the Dog can usually be found in his kennel at Jameson’s Irish Pub, Nova Park, Soi AR in Pattaya.